Holley Gerth is one of my favorite writers! She works as a counselor, writer for DaySpring Cards, life coach and co-founder of (in)courage ministries. Since 2013, Holley has encouraged the readers of her blog to take a step of faith toward their God-sized dreams and it's been a journey that has blossomed into epic proportions! Now as 2014 is around the corner, Holley's begun a new venture through launching an official website dedicated to dreams called "God-Sized Dreams: Where Dreams Set Sail" and she invites you aboard the ship! Every Tuesday, starting Dec. 31, 2013 and carrying on throughout the New Year 2014, Holley invites you, me and anyone who believes in their God-sized dreams to build community with like-minded people through writing and posting about your DREAMS! Sound exciting? I'm on board as of today and I hope you will join us! The year 2013 was an exciting year for me because God made a way for me to publish my first book, Hope in My Heart: A Collection of Heartwarming Stories! It was a dream come true! It is a journey my readers know well because I wrote a Thankful Thursday post about it soon after my book was released in Sept. 2013. But for those of you linking up to Holley's God-sized dreams ship, you can read all about my publishing journey here. I’m very excited to see what God’s going to do in this New Year 2014. Aren’t you? Let’s journey together aboard the God-sized dream ship set to sail! Today I write the final post for my 31 Days of Prayer series. I hope this series has been a blessing to you and your loved ones. I pray that God will manifest His love for you in awesome ways. My message for you today is simple and inspired by the song "Find Us Faithful" as performed by Steve Green. Please listen to the song here. As you listen to the lyrics, you will discover one more reason why we should pray and that is to build a relationship with God and become devoted to Him to the point where when you die and the survivors who are your loved ones remember you and what you did during your life here on Earth, they will find you faithful. I hope they will uncover evidence after evidence of your undying devotion to God and they will be inspired to be faithful to God too. In closing, here are the lyrics to the song "Find us Faithful" by Steve Green. Enjoy and God be with you! May all who embrace our legacy of prayer, faith and agape love, find us faithful. We're going to keep this short and sweet today. Classic question, a key focus of this first series for my blog has been, "Why pray?" Today my answer to you is, "because God listens". Do you know why God listens to you every time you pray? The reason for God's undying attentiveness to you is because He loves you, He cares about you and He is concerned about your journey through this life. God cares about every single detail in your life-- so huge that you feel too overwhelmed to ask Him for help and so small that you may think He doesn't want to hear you pray to Him about it. Never ever believe that lie because God is concerned about everything that affects you. God has promised to be Jehovah Jireh which means "God will provide". Better yet, God hears the prayers of your heart. So when you're too sick, sad, tired and depressed to pray, God reads your heart and He answers the prayers of your heart. How awesome is that? There is a God who can not only hear you before you speak but answer you while you are yet still praying! Read Isaiah 65:24. In closing, I'd like for you to listen to this song by gospel artist CeCe Winans. The song is called "He's Concerned" and you can view it here. I encourage you to pray your own prayer tonight, from your heart. Even if you don't have words to say out loud, silently ask God to read your heart and show His concern and love for you then trust that He will in wonderful ways! If you're looking for the answers to anything in life, look no further than Jesus Christ. It's like that song "Remedy" by Christian artist Rachael Lampa in which Rachael sings about how Jesus Christ is the remedy to every malady in life so she keeps Him close. How do you think we, like Rachael, can keep Jesus close? If you're thinking of the word "prayer" then you are absolutely right! The Bible says to pray without ceasing (1 Thessalonians 5:17). It does not mean that we have to be in prayer position on our knees all day and night. Remember, you can pray anywhere silently in your mind. It doesn't mean that you should obsess about prayer. It just means to be in a prayerful spirit. When God impresses you to pray for someone or you have something on your heart you want to share with Him, then wherever you are, in the privacy of your own mind, say a prayer. God hears you. Trust God to provide all the answers you need, according to His will. Now I say, "according to His will" because though God has ALL of the answers, it does NOT mean He's going to tell you everything. If we knew the answers to everything in life, we would not need God. Embrace the fact that you will never know ALL the answers. But be at peace with having a saving relationship with the Lord Jesus Christ whose knowledge of all the answers and perfect love for you will keep you safe and secure in this world no matter how crazy it gets. Today, we're keeping it short and simple. Thank You for being our remedy. Please help us to continue seeking You in prayer, trusting that You have all of the answers to our every question in this life. May we be at peace in what you choose to tell us and what you keep from us because we know You have our best interest at heart. Help us to keep our faith in You strong through the storms of life and help us to give you all of the glory, honor and praise when you take us from darkness into Your marvelous light. 1) Prayer saves lives. Have you ever heard a previously troubled person say how their praying grandma or praying grandpa helped save their soul? Check out the testimony of Helen Baylor, a gospel artist. Before coming to Jesus, Baylor was heavily involved in drugs and could have died had it not been for her grandmother who prayed to God to deliver her granddaughter (Baylor) and on a night where Baylor's life was hanging in the balance, her grandma's prayers made all the difference. Baylor prayed to Jesus for deliverance from drugs and now she is a healthy, happy gospel musician who tells everyone of the love of Jesus and value of a praying grandmother in her life through her songs. 2) Prayer births hope. When you pray and God answers your prayers for yourself or someone else, in awe-inspiring ways, hope is born because you realize not only is God real but He cares about every single detail of your life and He's in the business of restoration. They say if a person is causing you concern and will not change then pray to God to change you. You cannot control another person's actions but you can control your response. And when you pray every day for the strength and courage to respond gracefully to anything life throws at you, then you're on the steady path of restoration. Restoration from what? Restoration from reacting quickly in a negative manner to responding calmly to something that would have thrown you off a few months or years earlier. God can restore lives. Pray for those who are hurting, pray for those who mistreat you, pray for people who are struggling. Pray for those who do not yet know Jesus Christ. And as you pray every day, watch how God answers your prayers and you will become filled with hope. 3) Prayer solves problems. When you have a problem, take it to God in prayer. God can solve any problem, anytime, anywhere. But He requires or patience because He may not act as soon as we'd wish or use the method we prefer. But God WILL respond to ALL of our prayers, solving our problems in the most perfect way that is in the best interest of everyone. They say when you're in a tough situation, God will either move you or move the person who caused the tough situation. Either way, God has your back. So trust Him. 4) Praying to God to forgive us of our sins is essential to our salvation. We are saved by God's grace, through faith not works so that no man can boast (Ephesians 2:8-9). God's grace extends to us through His Son Jesus Christ's sacrifice that enables us to be forgiven of our sins when we ask God for forgiveness. But if we do not confess our sins to God and ask for His forgiveness and believe Him, we are in danger of losing our salvation. You have to admit that you are a sinner in need of a Savior and you have to believe God is real and accept His free gift of salvation if you want to go to heaven. You have to submit yourself to God each and every day, asking Him to guide you in making the right decision and living a life that is pleasing to Him. We are all sinners in need of a Savior. But here's the good news, Jesus Christ IS our Savior and He is always there for us. God is always available to forgive our sins and listen to us through prayer. 5) Prayer produces peace. The Bible says God will give us a peace that passes all understanding (Philippians 4:6-7). This world may be broken and filled with craziness but we can still have peace, a peace that only comes from God. It is a peace in the midst of the storms of life that will draw people to you inquiring where you got that perfect peace despite the turmoil around you. And that my dear friend, is an opportunity to witness to others about the God you serve and pray for them too! Now that you know a few of the many ways prayer benefits you, will you pray with me? Thank You for the gift of prayer. Please give us the peace that passes all understanding. Help us to lead others to You. We all need a Savior and we are so glad that You sent Your Son Jesus Christ to show us God is Love and with God, all things are possible--whether it's healing a heart, birthing hope into a situation that seemed hopeless or setting a broken person on a steady path to restoration, with You ALL things are possible (Matthew 19:26). You are the Master Teacher, Healer and Preacher and we love You for being there for us, no matter what. Please continue bless, keep and protect us all. As we spend time with You in prayer and You begin to change our lives for the better, help us to stay humble and grateful. May our lives overflow with love for Your love which is a love that never fails. And may we tell others of Your love for them so that they may come to know and love You too. You've heard the lines: "I don't need nobody!" or "I can do BAD all BY MYSELF!" or "Yeah, like you care!" Today, I want to address the common theme in all of those quotes and that is being broken. We as humans living in this broken world, are hurting and we ALL need Jesus Christ in our lives. No matter how bad, capable and independent we pride ourselves in being, deep inside our heart of hearts, there is a need not for another person but for the Lord Jesus Christ. I like how some ministers say, "We have a God-shaped hole in our hearts that only Jesus can fill." And it's true. Too often, we try to fill that hole with what we think we need be it comfort food, drugs, alcoholic beverages...and the list goes on. When all we really need is Jesus. So why pray? Because WE NEED JESUS and prayer is our main line of communication with the Lord, a line that is open 24/7/365 and never fails. Before we pray today, please follow this link to YouTube where you will hear the song, "People Need the Lord" as performed by Steve Green. Double-click your computer's mouse or method of selection over the underlined/highlighted title of the song in order to follow the link. Did you see the song? Beautiful message, right? I love how a line to that song says how at the end of our broken dreams, God is the open door. Prayer is not a one-way street. It is a two-way conversation with God and once you grow as skilled at listening as you are at talking, God will reveal His plan and purpose for your life. He will open the door to your wildest dreams. Remember we can do ALL things through Jesus Christ (Philippians 4:13), including learning how to pray and listen to God as He talks to us. You may not hear an audible voice--I think most people don't. But, God may talk to you by dropping a song into your spirit or a impressing a significant phrase or set of words into your mind that reveal exactly what you need to do. He may even speak through a family member, friend, or counselor giving them just the right words to say at the most opportune time for you. Thank You for YOU! Lord, You are Awesome! Please help me to learn how to pray and listen to you. Please reveal to me Your plan and purpose for my life as I seek You daily in prayer and study Your Word, The Holy Bible. I am grateful that when it seems like my dreams are as broken as this world, there is still HOPE because You can revive my broken dreams and open the right door at the right time for me to walk through. And when You do that, help me to give all the credit, glory, honor and praise to You. Please help me to be more open to Your leading and when I cannot see through troubled and dark times or sense You near, help me to trust Your heart because Your love for me never fails and You've promised to never leave nor forsake me. May I remember that only You can bring me through tough times and bless me beyond my wildest dreams. Only You, dear God, know what's best for me and those I love. As I endeavor to spend more time in prayer with You and be more faithful to You, please send people into my life who will strengthen my walk with You dear Lord. Help me to gain a blessing when from spending time with You alone and in church and help me to be a blessing to others. The Bible says "the heart is deceitful above all things" (Jeremiah 17:9). But it also says, "delight yourself in the Lord and He will give you the desires of your heart" (Psalm 37:4). While I cannot explain those two similar yet different promises of God in this one blog post, I do plan to dedicate a future post to those words of wisdom, with the help of a theologian or pastor who can help break it down to simple terms and show you what that means for you today. But for now, let's talk. You know how it is when you have someone in your life-- a significant other, family member or trusted friend--with whom you can share everything? And I do mean everything. Well while it's not too smart to share literally everything about yourself with people (Psalm 146:3), it is priceless to be able to confide in someone who will not betray your trust or expose your secrets. Now who would that be? His name is Jesus Christ and He's there for you. Your deepest thoughts, hurts, pains and triumphs can be safely shared with Jesus Christ because He will never let you down or disappoint you. When you cry, Jesus cries. When you hurt, Jesus hurts. When you are happy, Jesus is happy. Yes, He is just that empathetic. Now sometimes, people say: "Why should I talk to Jesus in prayer when He already knows what I'm thinking or am going to say?" Well, to that, I have a parallel story: People in relationships want to know that their significant other loves them, right? Have you ever seen a couple in love who never ever says "I love you" to each other or never ever does anything to show their loved one that they truly do love them? Someone once said when it comes to love, "Don't trust WORDS, trust ACTIONS." Meaning if someone says they love you but does nothing to prove it true, then chances are they don't mean what they say to you. But oh dear friend, when JESUS says "I love you," he MEANS it. And He proved it-- Jesus Christ died for you (see previous posts) and rose again, returning to heaven to fight for you. That's right. Jesus is your Advocate. He goes before the Father (God) whenever you sin and ask for forgiveness to remind God that He (Jesus) died for you as your substitute. Remember, we deserve eternal death in payment for our sins. But God extended His grace to us through the death and resurrection of His Son Jesus Christ in our place because, the Bible says, "For the wages of sin is death but, the gift of God is eternal life in Christ Jesus our Lord" (Romans 6:23). So who better to share your greatest hopes, your deepest pain, your hidden fears with than the One who loves you beyond the moon and back? Who better to trust? Who better to have a relationship in prayer and devotion? Who better to know as your truest Best Friend? In case you have not already guessed, "JESUS is the answer"! :) And He never runs out of time or is too rushed to listen to you. He is ALWAYS there, available to you. Thank You for my Lord, Savior and Truest Friend Jesus Christ! Thank You that He understands me better than anyone else, even the mother who birthed me. Thank You for sending Your Son to save us mere mortals from our sins and give us a chance at eternal life. Help me to become more like You as I journey through this world. Live in me, shine through me and may others desire to know You as their truest friend and Savior as they see what you're doing in my life. You are AWESOME! Help me to share my heart with You and leave all of my concerns in Your capable Hands. In Jesus' Name I pray, Amen. A beautiful holiday song called "We Are the Reason", performed by a Christian group called AVALON, speaks volumes to my soul because it reminds me of why Jesus Christ longs to hear from us through prayer. It's because we are the reason that He gave His life for us and honestly, HE is the reason for us to live. Christmas Day is about more than material gifts and delicious holiday dinners. Christmas is about celebrating the life and ministry of the BEST gift ever given to humanity--the Lamb of God (Jesus Christ). The older I get, the less I care about the gifts under the Christmas tree and even enjoying my favorite dish for dinner. Why? Because I'm learning more of what is important in life. And it's not about the material treasures we buy and collect throughout our life journey. It's about what we will treasure at the end of our time here on Earth. When we are dying, we're not going to wish we had more material possessions, or another delicious dinner or a holiday bonus from the office. But we are going to want to know, "What's next?" and, "Will I ever see my loved ones again?" And for the Christian who is a faithful follower of Jesus Christ, we know that answer is yes. Yes you will see your loved ones again when Jesus Christ returns to Earth to take His faithful followers home. Earth is not our home. We are just journeying through this land. Heaven is our home. So when life becomes too much for you to bear just remember-- Jesus Christ loves you with His life! And He's coming again to take His children home. So today, I'd like to pray for faith. Yes, faith. I pray that God will give you the faith of a mustard seed because it can move mountains (Matthew 17:20). And I pray that once you have that mustard seed, you will water it by spending time in God's Word (The Holy Bible) and practicing applying the lessons in that great book to your every day life. I pray that God will increase your faith in Him to the point where it inspires others to want to know the God you serve. And finally, I pray for you during this holiday season. I am asking God to fill your heart with His HOPE, your life with His LOVE and your home with His PEACE. I ask all of these blessings in the Name of Jesus Christ. Amen. Did you know we have a Savior? His name is Jesus Christ and He lives for you. Quite literally! Let's revisit the "story of Jesus" as some Christian circles like to call it, just in case you don't already know. Here's the synopsis: Many years ago, Jesus Christ who is the ONLY Son of God, came to Earth as a baby born to a woman servant of God named Mary who married a man named Joseph (Matthew 1:18-25). Mary and Joseph who worked as a carpenter, raised God's Son to know who He was to God, taught him how to pray to God and educated Him about the Scripture. The Scripture said God will send a Savior to redeem His people. Jesus Christ's mission as our Savior was to break the power of death which the devil had over humans and Jesus could only do that by being our substitute which meant He had to die in our place. It was a one-time deal that made an eternal difference. Just once Christ was called to take on the sins and heartache of the entire world, literally, and then after resting in the grave for three days, He was to be risen and alive. After Jesus fulfilled His mission on Earth to redeem us through His blood (death) being shed on the Cross, He laid resting or some would say dead, in the grave but after three days, just as Scripture says, Christ rose from the dead and was ALIVE! He rose victorious over sin and death and after visiting his loved ones and disciples on Earth to prove that He really was alive, Jesus returned to His Father God in heaven where he still ministers in the heavenly sanctuary as our High Priest. Jesus Christ is constantly interceding for us before His Father God. Every time we sin and ask God to forgive us, God (who hates sin) sees His pure Son Jesus in our place and He is able to forgive us as He remembers that Christ died for our sins in our place. Jesus paid the penalty so that we can have a fair shot at eternity. The most exciting part about the gospel message (as told through the Bible books of Matthew, Mark, Luke and John), is that JESUS IS ALIVE! Just like the song by Natalie Grant "Alive" emphasizes, "Death has lost and Love has won!" So back to the question I ask almost every day for this series on prayer, "Why pray?" Today my answer is, "because He Lives for you". So when you pray, please keep in mind that the One you're praying to loves you and lives for you. God is not an angry, unmerciful tyrant sitting on his throne high in the heavens beyond our reach. He is a loving and merciful Ruler who sent His Son Jesus Christ to this Earth to show us that God is Love and to set us free from the shackles of sin. I keep re-emphasizing these main points (God is Love, Jesus Christ is our Savior, Jesus is ALIVE) because it's important for us to remember. You're not praying to an idol who did not create itself and has ears but yet cannot hear you (Psalm 115). You ARE praying to the Creator of the Universe who can hear you and not only does He hear you, he answers your prayers. So today, let's pray for understanding. May we understand the story of Jesus. May we come to love and meditate on the gospel truth. May we realize when we pray just how much God loves us and may our sense of God's unconditional love for us transform our lives as we communicate with Him each day through prayer. Feliz Navidad! Joyeux Noël!! Merry Christmas!!! Why pray? Because God wants to meet you, right where you are in life. God understands your struggle. God feels your pain. God sees the moments when you feel like life is driving you insane. God has your best interest in His divine heart so that's why He sent a Savior (His Son Jesus Christ) to save you. Praying to God for the first time is kind of like an introduction, an introduction that will turn into a daily devotional which will invite Jesus Christ to reign in your heart. As you spend more time with God and get to know Him, you will start to feel His love to shine through your life which in turn, introduces more people to the Prince of Peace (Jesus Christ). God is able to meet you right where you are and take you to where you need to be (Philippians 1:6). He is not intimidated or scared of anything that has happened or will happen in your life. God is more than capable of taking care of you and guess what? He does not want to be a secret! So after you are introduced to God and you begin to know His character and He starts to reveal the reason why He created you (the purpose of your life) and you see Him working on your behalf, please do NOT keep it to yourself! Tell the world or at least one person and watch how your introducing other to Jesus Christ through your testimony of what He's done in your life, changes the world for the better! Are you ready to be introduced? Today, I want to introduce you to the world. I pray for every single person who is reading this blog post. May each reader experience you in a way that changes their lives for the better, forever. As You help them, I pray that they in turn will help others be introduced to You as their Lord, Savior and Truest Friend. May you cover each person who reads this message with Your love, protect them with your mercy and deliver them with Your grace. - Matthew 7:7 (Amplified Bible). When you pray to God, persistence is key. Just take it from Matthew 7:7 in the Amplified version of the Bible (see quoted text above). The Bible has been translated into many languages and writing styles which is why you'll see certain texts attributed to different versions of the Bible, even when its written in the same language. For example, English language versions of the Bible include: The Amplified Bible, The English Standard Version, The Message Bible and The New International Version. Let's talk about persistence and why it's key to your prayer life. Have you ever wanted something so bad that you asked for it every day, every hour or even every minute? When you truly want something whether its a dream job or a dream guy/girl or the best car or the most beautiful house or even a pay raise you have to go after it and you have to ask for it. You can't just dream about it and do nothing to achieve your dream. You have to work to make your dream a reality. The Bible says, God wants to give good gifts to His children (Matthew 7:11). But it also says that without faith it is impossible to please the Lord (Hebrews 11:6). So if you ask but do not believe, you will not receive. Here's where persistence comes in. The English Standard Version of the Bible passage Matthew 7:7-8 reads, “Ask, and it will be given to you; seek, and you will find; knock, and it will be opened to you. For everyone who asks receives, and the one who seeks finds, and to the one who knocks it will be opened." Simply said, right? But if you really want what you're praying for, you need to keep asking God just like the Amplified Bible reads- ask and KEEP ON ASKING, seek and KEEP ON SEEKING, knock and KEEP ON KNOCKING and God will open doors to your desire according to His will. And I say "according to His will" because if you're praying to inflict harm on somebody that you're mad at, God is not your personal wish list so do not expect Him to grant that request. He is a God of love. God loves all of his creation, even the people you're mad at so don't expect Him to carry out your agenda of revenge. Remember, God tells us to love our enemies and bless those who curse us (Matthew 5:44). But be encouraged because God also says, "vengeance is mine" which means He will handle the situation but in his own time and in the best way. But back to persistence. If you have not already, practice persistence in your prayers. They say positive results start with positive thoughts. So maybe if you've been experiencing a rough time in your life that makes you feel negative, you can apply persistence in your prayers by asking God every day to help you to think positive. Every day, pray to God for the strength to start each morning before you roll out of bed, with a positive thought. It could be, "Thank you God for waking me up this morning" or quote a Bible verse of affirmation such as Philippians 4:13 which says,"I can do all things through Christ" and then believe it! And if you immediately start having positive results because of your prayers, then great! But if not, well that's all the more reason to stay persistent! Ask and keep on asking, Seek and keep on seeking, Knock and keep on knocking and believe God will open doors for you! Today in church, mid-way through the pastor's sermon, the power went out--not the lights, just the audio. So our pastor quickly went from microphone to microphone which were positioned on stage for the praise team singers and as he tested each device, it was silent. After about two minutes, the power in the microphones was restored. The congregation and the pastor were very happy that the power was restored because the pastor wanted to preach and the congregation wanted to hear what he had to say. Our pastor is a very dynamic personality and his sermons are relevant to modern day issues the young people face yet are still very Bible-based. Needless to say, our pastor draws a crowd to church each week and people feel blessed after the benediction (which is a prayer which is said over the congregation at the end of the sermon and church service before everyone leaves the building). During those two minutes when the power was out, I think God inspired me to draw an instant parallel to the situation and that idea was this: though the earthly power facilitated by man may go out, God's power NEVER goes out! God's love, grace, mercy and power of His presence in our lives NEVER fails! It's like that old church hymn, "The Blood Will Never Lose Its Power" which speaks symbolically of the blood that Jesus Christ shed during his crucifixion on the Cross of Calvary which symbolized His taking our punishment for our sins and making us clean before the Father God...that blood and the promise it contains (of salvation for all who accept Jesus and believe), will NEVER lose it's power! When you accept Jesus Christ as your Lord and Savior and ask Him to forgive you of your sins the promise stands true-- you are forgiven because of Christ's death and resurrection which completed the plan of salvation which to this day is available to all who ask God. So when we sing that song about the blood of Jesus never losing its power, we can be encouraged of the timeless truth of those lyrical words! Remember, God loves you and He wants everyone to be saved. But God gives us the choice to claim the power of the blood over our lives. Each day is a new opportunity to commit your life to Jesus Christ and serve God faithfully in every situation which in turn leads more people to God and leads more people to learn and choose to accept the gift of salvation. I don't know about you, but I know the gift of salvation is better than any gift mankind could give me under a Christmas tree--yes even greater than an engagement ring (this is for those who are in love)--because accepting the gift of salvation and living faithfully for God means that after this life on Earth is over for ALL humankind, there is HOPE of spending an eternity with the Creator of the Universe! And this is all thanks for yes, the blood that Jesus shed for me (and you) way back on Calvary! The blood that can cover all of humanity's sins if only we accept Jesus and ask God for forgiveness. It is the BLOOD that ensures our once-in-a-lifetime opportunity to make it to heaven and live a life beyond our wildest dreams, forever. So today, I want to pray for your salvation. If you do not already know about God and the sacrifice of His Son Jesus Christ and you don't realize how His Holy Spirit can lead you into all truth as you study God's Word (The Holy Bible), then my prayer for you this day is that you will draw close to God and when you draw close to God, He will draw close to you and when you seek Him with all your heart, you will find Him. And when you find God, I believe you will be in complete awe and will joyfully accept the free gift of salvation and then in turn, tell others about your great discovery and new relationship with the Creator of the Universe. Now if you already know God and have entered into a saving relationship with Him then I pray that you stay strong in your walk with the Lord and that no matter what the enemy throws at you to get you off track, I pray that you will claim the power of the blood of Jesus over your life and allow God to take care of the situation for you and keep you on the right path. Tonight, I want to write about a creative way to pray! It's called "popcorn prayer" and it works best in a group setting so you may want to try it with your family and friends from church. So here's what happens: Gather with your friends and or family in one place. You can be sitting, standing or kneeling anywhere as long as you're in the same room. You need to be in the same room so you can hear each other because the way popcorn prayer works is everybody takes turns praying but in no particular order. The organizer of this prayer event will lead out in prayer asking you to close your eyes, bow your heads and listen to the leader initiate the prayer session by offering prayer on behalf of the group members to God. A short moment of silence may follow out of respect (you wait until the prayer is finished to speak) and then you or the person next to you or across the room can pray out loud and after that person prays, another person can speak up in prayer. Sometimes you can have everybody praying their individual prayers at once! So the effect is like making popcorn in the microwave because at first there's one or two kernels that you hear the popping sounds from within the bag and then you hear more and more popping sounds in random succession and you watch the bag grow bigger and bigger until you have a full bag of yummy popcorn ready to eat! Popcorn prayer is a pretty cool concept, I'd say. I've participated in popcorn prayer during my days in youth group at church and at the Christian schools I attended and loved it. Around this time last year, I was in the Midwest, preparing to return to the East Coast. Yes, the song, "I'll Be Home for Christmas" holds new meaning for me since then! But a few weeks prior to my departure, God taught me a lesson on agape love through an experience of a neighbor who we will refer to as "J". Making a long story short: J was a helpful and kind person. So helpful and kind that when she saw a woman in distress one day, she went over to help. The woman (we'll call her R) had been ill and was trying to get to the hospital. But she never made it to her car-- she died with J by her side. Despite J's best efforts to help R to her car and get her to the hospital, it was too late, R who had been struggling a little while before J saw her struggling, died. J was traumatized to the point where she could no longer sleep through the night. When J shared her story with me, I told her I'd pray for God to give her peace and a good night's sleep. A few days after praying for her, I saw J around town and asked her if she slept well and she said she finally did. I praised God for answering prayer. Now here's where the lesson begins: I never like ever win prizes from radio station give-a-ways but about a week or two prior to R's death, I'd been listening to K-LOVE and the DJs said they were giving away Mandisa's Christmas album which at the time I did not already own so of course I participated in this prize drawing and to my surprise, I won! I received the CD in the mail a few days after R's death and I remember thinking as I held the CD in my hands, "Now I know why I won." I wrapped the CD in Christmas holiday paper and gave it to J as her Christmas present. I also included a Christmas card and wrote a note to J encouraging her to listen to the song, "Somebody's Angel" because I believe God used her (J) to be like an angel to R as she breathed her last breath. Here's the point: Sometimes as people say, you need "God with skin on" meaning that while you do love God and you do trust Him and pray to Him and faith that can move mountains, sometimes you need Him to send one of His people into your life to encourage you along your journey in person. Sometimes you need someone you can reach out and literally hug, someone who can have a physical presence in your life/someone you can see. Nobody can see God and live (Exodus 33:20). So I believe that God sends His angels in human form to us to help us when we are in need. I also believe sometimes, God will send one of us mere mortals to stand alongside another mere mortal when they are in need of support...Essentially we become like somebody's angel. No, we don't win wings or special powers because remember, we are mortals with finite minds! But I seriously think God uses us just like He uses His celestial angels to be a tangible representation of His love for humanity. 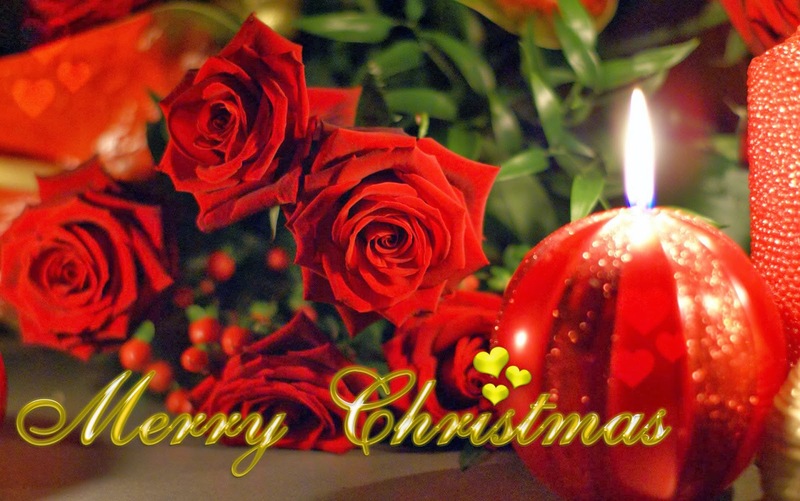 So this Christmas, I want to say a special prayer for you. I will not write it all out here, but I will let you know that I'm praying for you when I'm not using my computer. I'm praying for God to send people into your life who will be like an angel when you are in need. I am asking God to use those people to be like His angels to encourage you, help you, support you and keep you company as you journey through life. I'm praying for God's presence to comfort you. I'm praying for God's protection to surround you. And I'm praying for God's celestial angels to keep watch over you and that when given the opportunity from God to be like somebody's angel on Earth, you will take it. Why should you not only pray to God but praise Him? Because He is worthy to be praised! We're talking about the One who wakes you up each morning and starts you on your day (no, it's not your actual alarm clock that gets you out of bed, it's God deciding to give you another day to live). We're talking about the King of kings (yes, God is the Ultimate Boss), the Lord of lords (no authority supersedes God's sovereignty). We're talking about the Creator of the entire Universe who despite His busy schedule, still makes time for you! And not only does God make time for you each day, He invites you to worship and study His Word (The Holy Bible), spending time in devotion with Him each and every day. As you spend time with God, you will discover day by day just how wonderful He is and you will find yourself praising His Name. The heavenly angels praise God continually (Isaiah 6:3) because they know God is good. They realize how magnificent is His power, how boundless is His grace, how unconditional is His love for ALL of His creation. And yet here on Earth, we mere mortals so easily fall into the trap of going about our day and going into our rest at night without spending more than five minutes with God. A Christian minister once said sometimes we have a drive by relationship with God meaning, we wake up in the morning and go, "Hi God!" then as we rush out the door, we say, "Bye God!" And that is the extent of our communication with our Creator for that time. I can relate. I know what it's like to feel too rushed in the morning to spend time with God and then too tired at night to open the Bible, read a devotional book and spend time in praise and prayer with God, which is why I'm writing this post. If you've fallen into the drive by devotional pattern like I have, today I encourage you to slow down, take time for God because He's always willing to make time for you. I pray for You to rebuke the spirit of rushing that settles in over our lives. Please lead us into spending more time with You. Heavenly Father, I ask you to reveal yourself to us in so many ways that not only to we feel compelled to praise You but we take our praise to another level by telling others about what You have done in our lives. Lord, I plead with You to give us faith that moves mountains--especially if that mountain is blocking us from spending time with You. Finally, I pray for all of Your children around the world--those who know You already and those who do not yet know You. My hope is that all of humankind will learn why You, dear God are worthy to be praised! I love this song. It speaks to me in my most disappointed moments. Like today. Earlier this afternoon, I was frustrated, mad and depressed all at once-- at least on the inside. On the outside, I did my best to keep up a positive front. I went through that inner struggle because of personal situations I've been battling for a while now and today it felt like I just could not win. So I contacted one of my pastors who said she'd pray for me. God bless her heart, this pastor reminded me that I need to "be at peace" and realize that I am "loved, no matter what." Now what do my personal battles have to do with this song, "God's Favor"? Just wait, I will tell you. God speaks to us in a myriad of manners. Sometimes it's in a quiet whisper from God's Holy Spirit that speaks to our souls. Sometimes its through a God-breathed word from a ministry leader, pastor, family member or friend. And sometimes in my own situation, God drops a song into my spirit. Today, the song that arrived in my mind is this one,"God's Favor" as performed by Gospel Artist Donald Lawrence and The Tri-City singers. The first time I heard this song, I was a freshman in college in the process of auditioning for the university's gospel choir and the power of these words, the poignancy of this soulful melody spoke volumes to me. Soon after being accepted into the choir, I bought the CD. Yes, it's been a while (these were the days before iTunes). God never ceases to amaze me because this is not the first time He's dropped a song that I have not thought of in a long while, into my spirit and encouragement and peace follows. I am grateful that the Creator of the Universe has spoken through this gospel song to remind me that His favor, yes God's favor is more precious and powerful than any battle I'm facing in this life here on Earth. Be it broken dreams or a broken heart, God reigns! And His favor is supreme meaning God is the greatest power in the universe so you can trust that when you have His favor, you can be victorious over any battle you're facing in this life. So today I want to pray for anyone who is feeling disappointed, discouraged, brokenhearted, mad, frustrated and/or depressed! I pray God will encourage you, support you, carry you and bring you into brighter and happier days filled with His love, His grace, His mercy and yes, His favor. I think this picture (above) says it all for today's blog post. 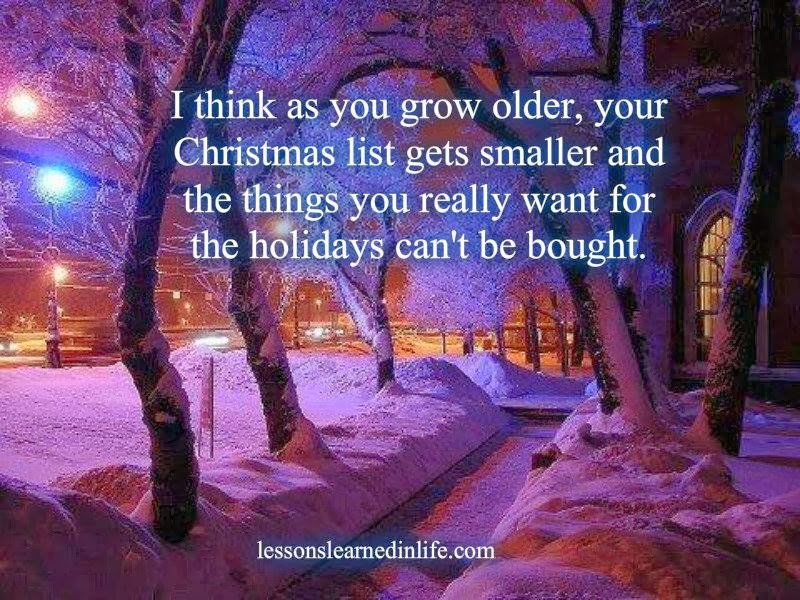 Christmastime feels different depending on your age and life experience. When you're a child, you can't wait for Christmas Day so you can rush to the Christmas tree in your house and see if "Santa" granted your wish list. When you're a young adult you may have reached the point where you don't ask for material gifts, you just ask for what you need which often simply is money. When you marry and have kids of your own, you want to give them all the joys of the holiday season that you experienced as a child. So what matters to you is creating a happy home not just for the holidays but forever. And then as your hair starts to turn gray, your kids are grown and moved out of the house and it's just you and your spouse or just you and your pet dog/cat/fish...All of a sudden you may start to write your own "wish list" because all you want for Christmas is more time spent with your family or better health or a few more years of life here on Earth. It's when we grow old and have a lot of life experience, that we start to realize what really matters in life. No, it's not how beautiful you've decorated your house to celebrate the holiday season. No, it's not how much money is in your bank account. No, it's not about the kind of car you drive. No, it's not about where you live or who your friends are. But yes, it's about spending time with the people who matter most to you. It's about taking time to appreciate all God has blessed you with in this life. It is about asking for more of what mankind cannot give you-- more time, perfect peace, bountiful joy, eternal hope and unfailing love. Only God can give you those priceless gifts! So this Christmas, I'd like us all to pray that we learn more about what really matters in this journey we call life. And once we realize what really matters, may we make the proper changes in our lifestyle to embrace life for what it is--a gift from God. Truth is, sometimes you're too tired to pray. Not sleepy, just TIRED because the day-to-day demands and disappointments of life have worn you down. Sometimes situations you face may take every ounce of your energy. Sooner or later in life most of us arrive at a point where we know what it's like to feel like you're tired of praying and tired of going to church when your situation does not seem to be getting better. And it's when we're in those trying times that we need to seek God with more diligence and passion than ever before because God will NEVER fail you and no matter what you're going through, He is right there with you! So when you feel like you're sinking in the ocean of life, call out to Jesus Christ and trust Him to save you from drowning. Recently, I went to a Christmas concert. The weather that night was very cold and while there was no long line to wait in outside in the elements, there was a five minute journey you had to make from the parking lot into the warmth of the church building. As we in the crowd of concert-goers neared the front doors of the church, there was about a two-minute wait in a very short line which would not have been a problem in perfect warm or breezy weather. But that night, it was so cold that we who were waiting outside the doors were shivering and then laughing. We laughed because this little boy who was about two feet tall and very small spoke in a big voice accompanied by a very serious look on his face as he said, "Lord Jesus!" We all laughed because we figured he was probably echoing what he hears the older people in his family saying. I think we found it to be funny because he's just a child no older than two or three perhaps four years of age and as one of the bystanders said, already "He knows how to call on Jesus!" Precisely my point, just like that little boy who called on Jesus to save him from being out in the cold, when we feel like we cannot go on or we're overwhelmed or becoming jaded about life, it is still important to call on Jesus. And not just to call on Jesus but to know that He's right there with us and even when we cannot see past our pain, God is working everything out for us (Romans 8:28) according to His good plans for our lives (Jeremiah 29:11). Finally, I'd like to share this song that was performed by gospel artist Tamela Mann at the concert. It's called "Take Me to the King" and it's for the brokenhearted and discouraged. My prayer for you today is that this song will encourage you in your walk with the Lord. I pray you will trust God every step of the way and keep seeking Him even when you feel that you cannot continue going through whatever it is you're facing. Remember, God is with you and be encouraged. When I traveled from the East Coast to work as a reporter in the Midwest, my mom had four words of advice for me, a prayer to say every day: "God be with me". Why did my mom advise me to use those four words in prayer during my entire journey? Because she will tell you, God told her to and because, I will tell you, God knew that's what would get me through each and every day as I embarked on a new journey in my life story. God knew that His presence which would be invoked by that prayer would fill my mind with peace and my heart with joy no matter what happened. God knew that simple and true prayer would ensure me that though I may be alone in new territory (I did not have any family or friends in the Midwest at that time), I would never truly be alone because God is with me. After my time in the Midwest came to a close and I returned to familiar territory, my mom advised me to continue saying those four words in a prayer to God each and every morning. At first I thought I would not need to because I have my support system here and I am surrounded by helpful resources. But then God reminded me that I need Him as the famous church hymn says, "every hour". Just because I am no longer in the wild and breathtakingly beautiful West does NOT mean that I need God any less. No! I need God even now while I am surrounded by my support system, family, friends and delightfully enjoying the four seasons! I need God each and every moment of my life no matter where I am or what I am doing. I need God to be the center of my focus, I need Jesus Christ in my heart and life. I need God. Period. But it's not just me who needs God. You need Him. Your friends need Him. Your family needs Him. Your co-workers need Him. Even your enemies need Jesus! I love this quote that simply says in a play on words: Know Jesus, Know Peace; No Jesus, No Peace! It is very true! Try a life without Jesus being your anchor and you will find that no matter how rich, affluent or famous you become, you will feel empty and your soul will be desperately longing for something more in life. And that something more in life is actually Someone! His name is Jesus Christ and He is patiently waiting for you to let Him into your life (Revelation 3:20). "So", you may ask me, "How do I let Jesus Christ into my life? It's not like I can see Him or call Him on the phone." I would tell you that you are right, there is no tangible way to get in touch with the Creator of the Universe. But there is a tried and true way which is through...You guessed it! Prayer! And what should you pray to invite the Lord of lords and King of kings into your life (yes we're still talking about Jesus Christ)? My dear friend, today's prayer is simple...Just say these four words in this order, "God be with me." And then live your life and see how God brings His glory into your story and changes you from the inside out. Curious about the title of today's blog post? I certainly hope so! Think I'm going to give you directions to God's home in heaven? I certainly hope NOT because no mere mortal can ever access that kind of information! However, while I cannot give you directions to God's home, I hope I can lead you to His heart. God's heart overflows with love for us mere mortals. He absolutely ADORES us humans! Why, He loves us so much that He was willing to allow His only Son to die for us! Yes, He loves us that much! The death of Jesus Christ and His being raised from the grave after three days gives HOPE to humanity because now that Christ has defeated death, it no longer has power over our life story. Since Christ was victorious, we all can choose to accept His gift of salvation and have hope of life after the curtain closes on human history...We have hope to live again for eternity spent in the presence of God. All we have to do is to have faith in God and live like it! The Bible says faith without works is dead (James 2:14-24). So what does all of this mean? You thought I was going to help you know where to find God, right? Hang in there, I will. You can find God...on your knees. The Bible says that no man has seen God. And that's true. But Jesus Christ says if you know the Son (Christ) then you know the Father (God). And how do you get to know Christ and God the Father? If you've listened to the song "Find You On My Knees" by Kari Jobe you may know the answer by now. You've got it! Prayer and study of God's Word (The Holy Bible) will lead you to God's heart. They say those who kneel before God in prayer can stand before anyone! Constant communication with God through prayer equips you for the daily battles in life. So when life gives you lemons don't just make lemonade, pray about it! Ask God to show you how to deal with the times when life does not look all that rosy and picture perfect. God is with you no matter where you are and no matter what you're going through. Even when you cannot sense God's presence, you can TRUST His heart. Today I encourage you to pray and keep praying. You don't have to spend all day and night literally on your knees. But you do need to keep the communication line between you and God open. And that communication line is a beautiful gift from God to us called prayer. The best benefit about finding God through prayer and devotion is that He will not disappoint you. The Bible says when you seek God with all your heart, you WILL find Him (Jeremiah 29:13). I know that it's tough when life is rough to pray and to seek God's will for your life. But know this: No matter what happens keep praying to God. He hears. He knows your situation and He's promised to work it out for your good (Romans 8:28). So take heart! Pray and be led to God's heart! His divine, sovereign heart that overflows with love for you and your brother and your sister and your mom and your dad and your cousins and your aunts and uncles and your friends and your co-workers... you get the picture, every single human being on Earth! Now that you know where to find God. Seek Him, daily, for the rest of your life. And as you seek Him and begin to know Him better, share what God's done for you with others! Your testimony may lead a lost soul to Jesus Christ. And that my friend, is what makes a life well lived. I have read and heard many different people this year give the same advice to their listening audience: "Know Your Circle" says Trent Shelton to the world, "Know your row," Sophia A. Nelson advises her fans and then on the local level, there have been people I know who have talked about how sometimes you need to change your circle of friends. So why is it so important to know who you call a friend and to change your circle when necessary? Because not everyone is your friend and it's important to know the difference between someone who is there for you when you are in need and someone who is only around when you can do something to enhance their lives. Sometimes it's hard to tell a true friend from a fake. But that is where the solution comes in...Prayer is the best way to discern a friend from an enemy. Wondering who your true friends are? Pray about it. Seriously! Ask God to give you the spirit of discernment to show you who you need to keep in your life and who you need to let go. Pray and believe then trust you WILL receive an answer from God! You may not hear an audible voice because God speaks to us in many ways-- He may put a poignant thought in your head, send someone your way to say something that gives you an "A-ha!" moment and all of a sudden you know what to do, or God may just speak to your heart. A lot of times we know what we need to do in life but are scared to do it. So if you KNOW that there are people in your life who are toxic and negative influences and they're hurting you and your progress then maybe it's time to let them go. Sometimes haters can be in your own family, Sophia mentions this in her video blog (Vlog) above and when that's the case...Listen to what Sophia says and then pray about it and allow God's Holy Spirit to lead you to the best solution. It's important to not only pray for God to remove people who are NOT good for you from your life, but it's also important to ask God to SEND people into your life who ARE good for you! Ask God for true friends. Or maybe just one true friend. The older you get the more you will realize that when it comes to friendships it's not quantity that's important (as in how many friends you have) but it's quality that's key which means it's better to keep company with or two true friends than to be surrounded by a host of fake friends. Trust me, it's one of the best and most refreshing life lessons you will ever learn! God cares about every detail of your life, that includes who you choose to call "friend". So today, let's pray for friendships. Let's pray for God to strengthen our resolve to not continue talking to or hanging around with people who are not true friends but are enemies in disguise. Let's pray for God to give us the spirit of discernment to know who is a true friend and who is not. And once God has helped us to discern who should stay in our lives as a friend and who should go, let's pray for courage to walk away. Side note: Remember, letting go of friends who are not good for you does not mean that you have to stop praying for their life and relationship with God. The Bible tells us to love our enemies and pray for those who persecute us (Matthew 5:43-45). But it does NOT tell us to allow ourselves to continually be used or lied to and stay in the company of people who are hurting us. Now in conclusion I have to add, if you feel that you have NO friends, you're wrong because Jesus Christ is your truest Friend and He will be there for the rest of your life throughout eternity! So be encouraged! God is in control and He knows what's best for you. But it's up to us to stay in touch with God through prayer and study of His Word (The Holy Bible) so that we may discern His will for our lives and then follow His plan. And in case you didn't already know, God's plans are good! :) Read Jeremiah 29:11. If God wrote a letter to you, I believe it would sound like this beautiful Bible-based message (above these words) that speaks for itself. It is a presentation that portrays God the Father's love for us, His children. Today my prayer is for those all of God's children--those who know him and do not yet know Him--May you be blessed by the Father's love. Talking with a friend tonight about relationships made me aware of this fact: I choose to share Jesus with everyone I know because I love Jesus for all He is and all He's done in my life and in the lives of the believers who surround me. You may be wondering how I reached this realization. Let me clue you into the conversation, no details just what you need to know: My friend, we'll call her Sasha, talked about how you often have to share the person you're in a relationship with other people. Now she does not mean share in the context of cheating. She means that even the person you're dating or are married to has other roles--they are somebody's son, somebody's brother, somebody's friend--and so you have to share them in that sense. 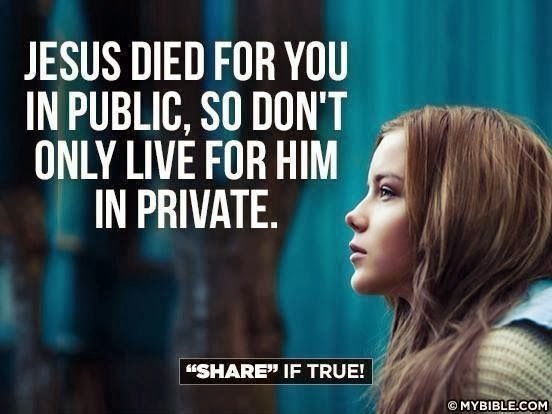 Next, she drove her point home with this statement, "I mean you share Jesus with EVERYONE, Alexis!" Please note I do NOT consider myself as "dating" or "married to" Jesus Christ. But as a believer, I do consider myself in a saving relationship with Jesus Christ as being one of God's children. So when Sasha reminded me that I share Jesus with EVERYONE which I do through my writings and by spoken word, it resonated with me because while I know that telling people about Jesus Christ as my Lord and Savior and Best Friend comes naturally to those who have a relationship with God, I never really thought twice about telling others about Jesus. I mean it just happens like every day without me thinking deeply about it. When Sasha told me that I share Jesus with everyone, her statement made me think of why I chose to be in a relationship with Jesus Christ, why I love Him with my life and why I choose to tell everyone I know and do not know about Him: It's simply because I love Him and when you love someone, you feel that you have to tell the world! It's like having a secret of HOPE and LOVE and GRACE and MERCY and gratefulness that you simply cannot keep to yourself! Why, those are the very things this world needs! We need HOPE! We need Love! We need God's Grace, mercy and blessings to cover us every single day of our lives. We need hope that after the curtain closes on human history that does not have to be the end to our life story. We need to know that when you have faith in God and follow His Son Jesus Christ that you WILL see your loved ones who died in Christ, once more when Jesus returns to Earth to take His faithful followers home and that Bible-based truth brings me HOPE. It's a beautiful truth that reminds me of God's Love, Grace and Mercy that's kept me and continues to keep me. So yes, I choose Jesus and YES I want to continue telling the world about Him and Yes, I love sharing this good news, this gospel truth with every single soul I know and have yet to know. Jesus died for me, rose again and lives forever like literally! We serve a RISEN Savior the Bible says and He's very much involved in the affairs of this world today. He's accessible 24/7/365 through prayer. We do not need to go to anyone to talk to God. We just need to pray in the name of Jesus and God will hear us. Guess what? Jesus loves you! And he's not keeping you a secret. He intercedes on your behalf to God every time you ask for forgiveness for your sins and mistakes. Because of Jesus conquering death for you, you have the once-in-a-lifetime opportunity to go to heaven. You just have to believe and then live like it! And part of living like you've been redeemed by God's unfailing love, the part that comes most naturally, is telling the world! If you're still a bit too shy to speak up don't worry-- the closer you get to God and the more you come to know and love Jesus speaking of Him will come as naturally to you as breathing. Let's pray for people who are afraid to take a stand for Jesus Christ. Let's pray for God to give these people courage and to increase their faith in Him. May God's love fill their hearts. May God's peace cover their minds and May God's glory that came into their life story bring others to Jesus Christ. I admire artists who take the road less traveled. Meredith Andrews is one of my favorites because she tackles real life issues and through her struggle makes beautiful melodies with lyrics that truly draw you in to listen and you hear God's heart through her words. Meredith's song, "Not for A Moment (After All)" is built upon one simple, Biblical truth-- God will NEVER leave you or forsake you (Hebrews 13:5). I hope you will listen to what Meredith has to say about the story behind this poignant song in the video above this message. There are times in a believer's life when your world comes crashing down around you and all you sense is deep spiritual darkness. When you're in those times, you need to remember one simple truth-- God will NEVER leave you or forsake you. He's right there with you, even if you fly as high as the heavens or if you make your bed in hell (Psalm 139:8). Why? Because God loves you and NOTHING can separate you from the love of God (Romans 8:38-39). Another life issue Meredith addresses in this song is how it's not our job to try to change the people around us. But it IS our job to love the people God's placed in our lives and PRAY for them, asking God to lead the person who's lost their way home not just to the physical house address but to God's heart. I know I've had that "save the world" mindset, thinking I can say or do something so inspiring and positive that those who have lost their way will find Jesus when in reality, that mindset is not always fruitful because only Jesus Christ can save us. Our salvation is not found in our works or witnessing, it's found in our faith. We must have FAITH in God, faith in His Son Jesus Christ and allow our lives to be led by God's Holy Spirit who will lead us into all truth and you know what they say about truth-- it will set you free. Do you know anyone who needs to be free from pain, free from addiction, free from deceit? Truth is only Jesus Christ can set them free. We just need to pray for the people on our hearts each and every day and leave our prayers in God's capable hands trusting Him to answer our prayers in His perfect time. Timing. We living in a minute-society where we grow impatient even when warming food in the microwave for fifty seconds. But the beauty of God's timing is that it's perfect. God may not answer your prayer how and when you want Him to BUT He is, as the older generation says,"An ON TIME God!" Today, let's pray for those who have lost their way. Let's reach out to those who we want to return home not just to an address but to God's heart which overflows with love for them no matter where they've been or what they've done. Please be with your modern day prodigal sons and your prodigal daughters who have taken a journey into all the world has to offer. Perhaps it was the pursuit of riches, glory, fame and fortune that led them away from you. Maybe it was a personal pain with negative experiences, hurt, heartbreak or sorrow. Sometimes a troubled childhood, drug addiction or traumatic experience may have been what's hardened their hearts against You. But dear God please intervene. Send reminders of Your love, grace and mercy into their life right now, wherever they may be. Infuse the truth about Your character into the situation they've thought was hopeless and if they don't think they need help, remind them of why they need You. Debunk all of the lies that the enemy has made them to believe. Reply to those lies with Your Truth according to Your Word (The Holy Bible) which is that You love them with all Your divine heart and that through faith in You they can win whatever battle they're facing. Please replace their fear with faith, their pain with purpose and their hostility with a heart that longs to serve You. May Your glory that we pray will come into their story change not only their hearts but the lives of those around your children who are watching. May Your saving your children from a destructive lifestyle be a testimony to what You can do for those who believe in You and may more people be saved because of it. Okay, I will be transparent today only because I hope it will help somebody. Relationships have been on the forefront of my mind and in my prayers. Not just for knowing who my true friends are but knowing how to know when I've met "The One" as in the man God made with me in mind. Why? Because as a creative soul I am a hopeFUL romantic (because it sounds so much better than hopeLESS). I've seen my share of romantic comedies, read my share of love stories and even wrote a book that contains characters who are hoping for something or someone. So sometimes as a single lady, I do wonder, How do I know when I've met Mr. Right? I think today we need to pray for relationships. Not just for those in relationships--dating, engaged or married--but people who are single. We live in a relationship-themed world and it's not for the faint of heart. People want to know who you are dating then they want to know when you're getting engaged then they want to know if you getting married and then they're asking you when are you having kids! Do you feel the pressure to conform to society's standards? Countless movies and music are laden with themes of finding your true love, meeting the person you're meant to marry, having a family of your own and growing old with your soul mate. Honestly, the older you get if you're still single, you may start to feel like something is wrong with you like seriously as in maybe you're meant to stay single. Well, in a world where romance and relationships are on the forefront of society's mind as evidenced through movies, magazines, music, culture and our social circles, it's such a breath of fresh air to hear someone like Christian recording artist Kari Jobe who's beautiful, fun, talented and serving God with all her heart (clearly nothing is wrong with Kari)...it's refreshing to hear Kari talk about God's perfect timing for relationships. Today, Kari is in her 30's and she's still single but how she thinks about her singleness is so beautiful. Kari is trusting in God's timing and believes that when the time is right, she will meet and marry the man God made with her in mind. The holiday season is upon us and it is wonderful! But for people who have lost a loved one or are experiencing tough times, this time of year may not be joyful. It's a Catholic tradition to "light a candle" for someone on your heart, to pray for their peace and safety. There is a song by the Christian recording artists AVALON simply called, "Light a Candle". It's a song that focuses on the less fortunate. The ones who will not rush to open gifts on Christmas morning because they could not afford to buy gifts. The ones who do not have a place to celebrate the holiday because they are homeless. The ones who will go hungry while most people are feasting on the much celebrated Christmas dinner because they cannot afford food. The ones who once upon a time knew and cherished the joy of this holiday season who are now desolate and despondent because they've lost all they cared about or they're in the hospital fighting for their lives. This Christmastime, I'd like to challenge those of us who are at a place in life where we're fortunate to have friends, blessed to have family and are experiencing good times despite all the pain and suffering in our world...I'd like to challenge you to reach out. Reach out to someone who is hurting. Help someone who needs HOPE. Whether it means slipping a couple of dollars and coins into those Salvation Army red kettles--you know the ones for collecting donations which are usually positioned directly outside of your local grocery store, next to a person wearing official Salvation Army apparel and ringing a bell. Or if it means giving a "thank you" offering in church or volunteering at a soup kitchen or simply "lighting a candle" for someone by saying a prayer in the privacy of your own home. Please remember that not everyone is as fortunate as you. Everyone needs prayer, even those who are wealthy. We all need Jesus. You don't have to go to a cathedral on Christmas Eve to literally light a candle. You can, wherever you are--even right now--just quietly in your heart and mind, say a prayer. Say a prayer for the hurting, the weak, the fortunate and less fortunate. And don't limit your prayers to this holiday season! Keep your fellow humankind in prayer throughout the year! We never know when our time here on Earth is up so I believe it's important for us to keep each other prayed up! And to live each and every day for what it is, a gift from God. And to me, that's much better than any sought-after, much-desired Christmas gift!